"If a country's got a port, I've been there,"
IN his continuing search for the more weird, wacky and wondrous in the world of travel, David Ellis says that when Fort Lauderdale woman Lee Wachtstetter's husband died their daughter suggested her mother take herself off "on a nice long cruise" on board the luxury liner Crystal Serenity. The widow and her late banker husband Mason sailed 89 cruises during their 50 years of married life, and when he died their daughter convinced her Mum that her 5-bedroom family home on 4ha in Fort Lauderdale was too big for one person, and that she should sell-up and take that long cruise. 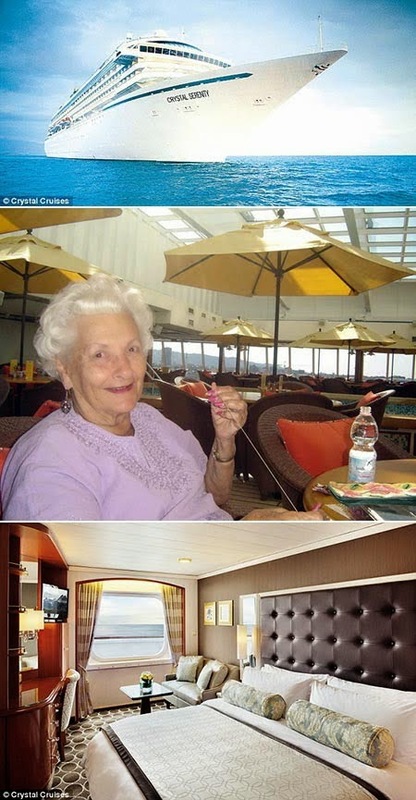 Since then Mrs Wachtstetter – fondly known amongst the crew as "Mama Lee" – has sailed well over 100 Crystal Serenity long-haul and 15 world cruises, and says she gave up counting the number of countries she's visited after reaching her 100th. "I just say that if it's got a port, I've been there," she says. And while she rarely goes ashore because she's already seen most places her ship visits, she never misses Istanbul's Grand Bazaar that she says she absolutely loves.